Peaceful. Thoughtful. Enveloping. 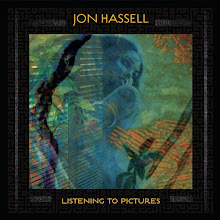 These are just a few impressions you might come away with after experiencing lush beauty of the Building Instrument debut album. The Norwegian trio present a mellow experimental folk sound that blends contemporary themes with acoustic and electronic instruments all the while feeling sparse and emotional. Brunvoll voice adds an ethereal quality reminiscent of Elizabeth Frazer or A.C. Marias. But those references are only that--references. Brunvoll glistens alongside percussions and keyboards on wistful, "Bli Med. And the wonderful and heartbreaking opener "Historia," show that this trio is working on a completely different plan than most within the genre. A more rhythmic and soulful stance is taken with "Klokka Sju," A nightfall midtempo piece with a laid back groove that's driven forward by Brunvoll's vocals but enhanced by electronics and succinct patterns laid down by Hegge-Lunde. 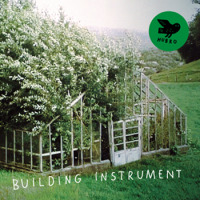 Building Instrument is a solid and startling debut that puts faith and fuel back into the emotional void left bands like Cocteau Twins, Cranes, and Dead Can Dance (even though DCD are back recording). Building Instrument provide a new direction and perfect path towards the future. A lovely debut and hopefully we hear and see more from them sooner rather than later. Highly Recommended.